Ergonomic pillow in pure latex foam for hotel contract. Non-deforming and elastic, this pillow offers ideal support to the curve of the neck. 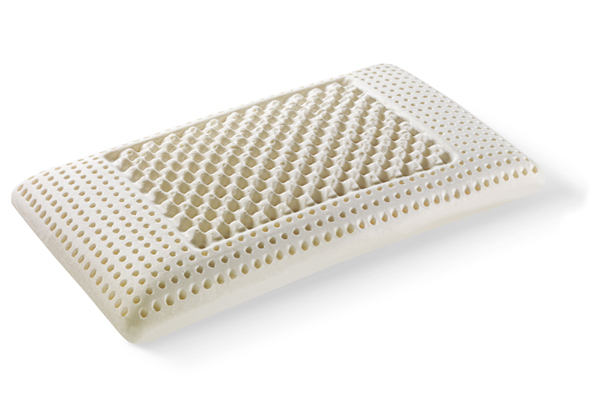 A dimpled surface and perforations in this later pillow assist with the dispersions of heat and humidity.